BABYZEN YOYO+ Leg Rest can be clipped to your BABYZEN YOYO+ Pushchair really easily. It is adjustable to several different positions with a plush, soft padded cover. This pushchair accessory allows your little one to sleep soundly in their pushchair. Why should I buy the BABYZEN YOYO+ Leg Rest? The BABYZEN YOYO+ Leg Rest has been specifically designed for the BABYZEN YOYO+ Pushchair. It easily clips onto the pushchair in the blink of an eye. As well as this, you can adjust it to several different positions so that your little munchkin can rest their legs at whatever height they want. This pushchair accessory features a plush padded cover which ensures ultimate comfort during your bubba's much needed nap. Plus, you can fold and unfold the pushchair with the leg rest still attached for your convenience. The addition of the leg rest doesn't change the legendary cabin luggage size of your BABYZEN YOYO+ Pushchair, so you can still fold it as compactly as ever. 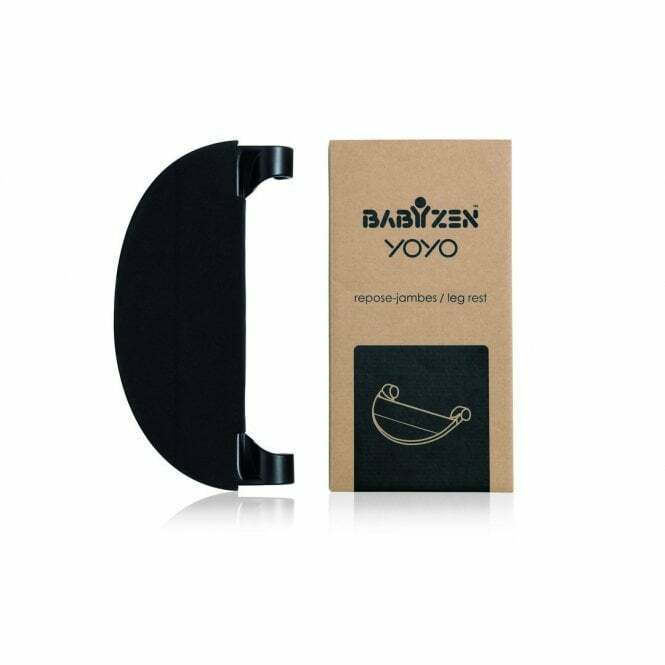 What are the specifications of the BABYZEN YOYO+ Leg Rest?